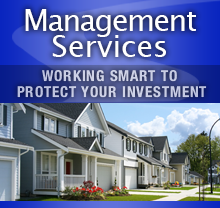 We manage single family homes, townhomes and condos. We also manage apartment buildings. What properties don't you manage? We do not manage home owner associations, vacation rentals and mobile homes. While our office is in Bowie, we manage properties located in Prince George’s, Anne Arundel, Howard and Montgomery Counties. Is Silver River a licensed real estate company? With what accredited organizations are you affiliated? Silver River has been operating under one ownership since 2002. It is incorporated in the State of Maryland and is in good standing with the Secretary of State. Dan Stein, the company president, is also licensed by the Maryland Real Estate Commission (lic. #833). Silver River also holds membership in the National Association of Residential Property Managers (NARPM), the American Apartment Owners Association (AAOA), the National Association of Realtors (NAR) and the Greater Capital Area Association of Realtors (GCAAR). Why should I hire Silver River as my property management company? Perhaps the answer to this question is best said by quoting one of the owners using our services: ". . . excellence at a competitive price. Who could ask for more?" We at Silver River Property Management never forget that a big part of our success depends on the time and money we save the owners and investors who use our services. Our owners trust us to be able to quickly fill their vacancies with quality tenants and to maintain a vendor list of low-cost but capable handymen and other service providers. We adhere to the regular and timely disbursement of funds to owner accounts, with a clear and accurate monthly reporting system. 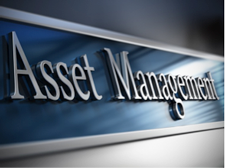 Owners know they are saving with Silver River Property Management. Many real estate companies offer property management as a side business to complement the primary focus of the company, namely real estate sales. However, Silver River Property Management exists with the primary focus to provide excellent, cost-effective property management services. Various factors will determine the amount of rent you can get for your property: Location, condition, square footage, number of bedrooms and baths, and general curb appeal will contribute to determine the best rental rate for a property. It is part of our job to visit the property in order to make a good assessment and quote a fair rate. Arriving at the best rental rate is a formulaic process that takes specific factors into account. This is one of those areas where there is no substitute for experience, and Silver River Property Management has the knowledge to make the best decisions. Naturally, any rate we recommend is subject to the owner's approval. Finding good tenants is one of our highest priorities. Even during vacancies, we know that owners still have mortgages, taxes and insurance to pay. During vacancies, the cost of utilities are also charged to the owner. There are often additional expenses -- for example, lawn care that would otherwise be the responsibility of the tenant now becomes an owner expense. If necessary, we will recommend cosmetic repairs to enhance the appeal of the property in order to better attract tenants and get a better rental rate. Once a property becomes available, we immediately promote it on the Metropolitan Regional Information Systems (MRIS) MLS to alert the thousands of real estate agents helping tenants find a place to live. 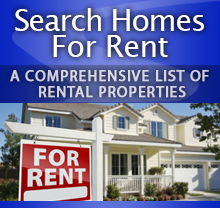 We also post on Craigslist, YouTube, Zillow, Trulia, realtor.com, hotpads.com, and numerous other active real estate sites targeting renters in Maryland. In the case of tenants who are moving out soon, we begin this process no less than 30 days before they move out. Once a property has been listed, owners will receive an email daily, with a detailed report on the number of showings their specific property is getting, including valuable feedback from agents and their customers. How do you make sure tenants are taking good care of my home while renting? We have found that there is a very high correlation between timely rent payments and good care of a property. Still, we recommend an inspection once a year. During our inspection we check to make sure that tenants are abiding by the lease and that there are no threats to the value of the property. We also check for such infractions as additional persons, unauthorized pets, maintenance issues, potential fire hazards or other potentially suspect conditions. *Every property we manage must comply with minimum standards for health and safety. We also strictly adhere to laws regarding fair housing. What happens if tenants do not pay their rent? 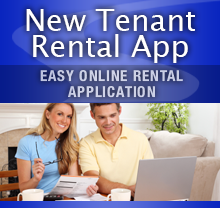 We make sure our tenants know we represent a landlord who expects rent payments on time. We also make sure they know that we have a zero tolerance policy on late payments. Our leases clearly state that rent is due on the first day of the month. Maryland law allows for tenants to pay by the fifth day of the month, without penalty. However, any rent not paid by the fifth incurs a 5% penalty. Payments not received by the tenth day will trigger court action. 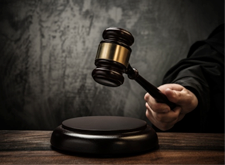 We do not hesitate to file a case with the District Court, and a judge will send out the sheriff to personally post a notice ordering tenants to appear in court on a specific date as ordered by the judge. Tenants who experience this once or twice usually get the message and change their behavior. We have an attorney represent the landlord in court to get the judgement and file for the eviction. The best way to avoid all this is by choosing the right tenants from the beginning. Our track record of eviction occurrences on properties we manage is less than 1%. The simple answer to this question: as informed as you want to be. Owners have the choice to be kept informed of all communications regarding work orders. Once we receive rents, they are quickly disbursed to owners via direct deposit to the account provided. Owners can go online 24/7 to get monthly statements via a password-protected login. We also email these monthly. Maintenance costs are a reality in owning a property. In selecting our vendors, cost is a very important criteria, but vendors must also be capable of providing excellent work without needing to be called back for repairs that were not done right. They must also be of reputable character and dependable to do the work when they say they will do it and complete the job in the timeframe originally promised. We maintain a vendor list where we track their performance and fees. When we receive a maintenance request we notify owners if they opted to be kept informed on all matters. We contact vendors from our preferred vendor list regarding the maintenance item. Tenants appreciate how swift we are in getting things repaired. Part of our good track record of tenant lease renewals is related to our efforts to keep good tenant relations. We hold a reserve of $300 in your property escrow account to be able to quickly resolve any small issues as they may come up from time to time. Nevertheless, it is our policy to notify the owner of even small maintenance needs whenever they come up. How do I know you won't spend money on large repairs without my approval? Our management contract with you specifically spells out in writing that we must notify you as the owner before spending your money. What if I want you to use my plumber, handyman, etc.? 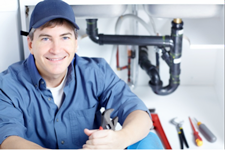 If you have a preferred plumber or handyman that is licensed and insured, we will be happy to call on that person. Thanks for the referral! Do you recommend using a home warranty insurance program? No. They vendors assigned are typically very slow to schedule the visit with the tenant. Often times we'll need to go outside of warranty assigned vendors as the issue needs to be repaired immediately and cannot wait. My home has a pool. How do you handle that? Pools create an additional liability. Nevertheless, pools can add value to a property if managed correctly. There are laws regarding proper fencing around pools, and these must be complied with. The landlord must maintain a maintenance contract with a pool service that regularly cleans them, applies chemicals, and provides seasonal startup and closedown services. When do you mail the owner's payments? 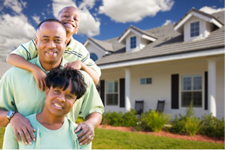 Owner disbursements go out by the 10th of each month via direct deposit. Yes! We deposit proceeds directly into your account by the 10th of each month. You will receive a ledger each month that itemizes all rents received, expenses incurred if any, and the balance of funds in the account. Additionally, we are happy to answer any questions you may have at any time. Simply call or send us an email. 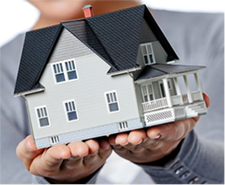 Our job is to provide property owners with the highest possible return on their investment (ROI). Our property owners have confidence knowing that their investment is in the care of able professionals. Owners are free from the day-to-day stresses of having to deal directly with tenants or with the property itself. How much is the leasing fee? One months rent is charged to lease a vacant property. Does your property management agreement give you the exclusive right to sell my property? Who holds tenants' security deposit? Security deposits are held by us. Maryland law requires that security deposits be held in separate escrow savings accounts. The law is very strict on this, and severe penalties can apply to anyone who does not comply. How much security deposit do you charge tenants? Our standard security deposit is equal to one month's rent. There are some circumstances under which we will require two month's rent. It is against the law to hold security deposits totaling more than two month's rent. 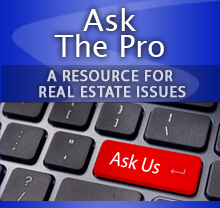 Can I expect to be contacted by tenants, HOA or neighbors? We never give out your contact information. If tenants do research and somehow are able to contact you directly, simply refer them back to us. If I ever have a problem or question, who do I contact? Call us or send an email. We will be happy to hear from you and glad to discuss any concerns you may have. I'm ready for Silver River to manage my property. What's next? Call us anytime at 301-352-0098! You can also contact us via email at info@SilverRiverPM.com. We manage . . .